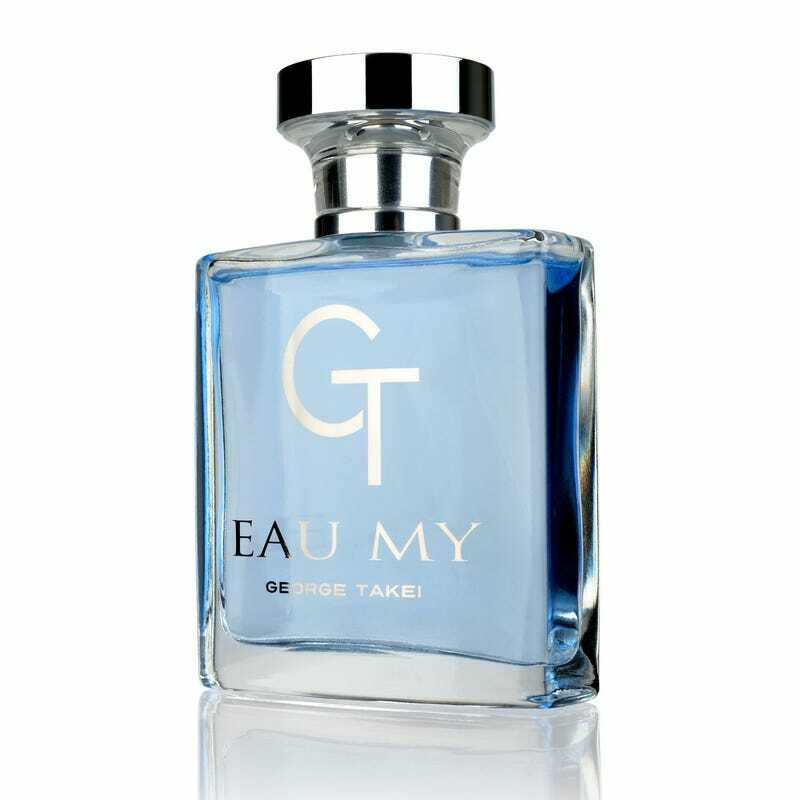 George Takei's official, totally real perfume is named "Eau My"
Set Phasers to Stunning. George Takei's Eau My is a clean, refreshing fragrance for Men and Women. Subtle and charming, with top notes of mandarin zest, Italian bergamot and fresh ozone transitioning to night-blooming jasmine, white freesia petals and grated ginger. Sensual woods, crystalized amber, soft skin musk, and vetiver will delight you when dry. The makers don't say it, but I think we all know this perfume is mined directly from George Takei's personal sweat glands, as this is the scent he normally exudes. Personally, I would have thought Takei to be more of a sandalwood and rosewater-type, but whatever. I trust his nose more than mine. Photo: Pete Hottelet / Omni Consumer Products.